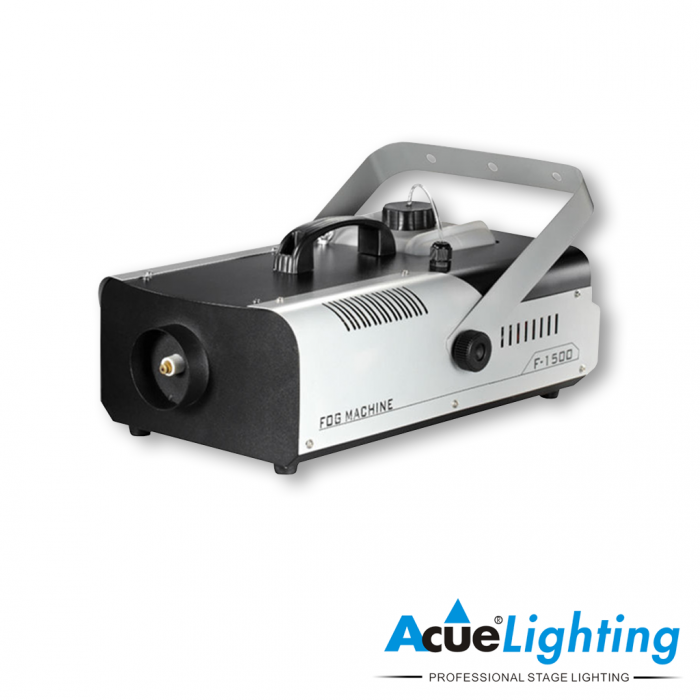 The Acue Fog 1500 is a very powerful professional fog/smoke machine. It is capable of filling 21,000 cubic feet in under a minute. 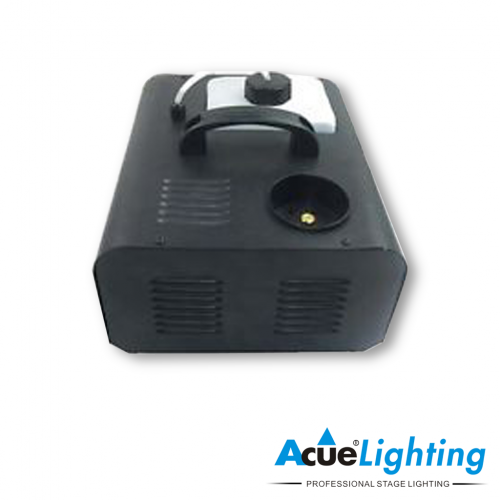 It is also equipped with a high performance pump system for optimum output. It has a built-in electronic processor to maintain heat levels. 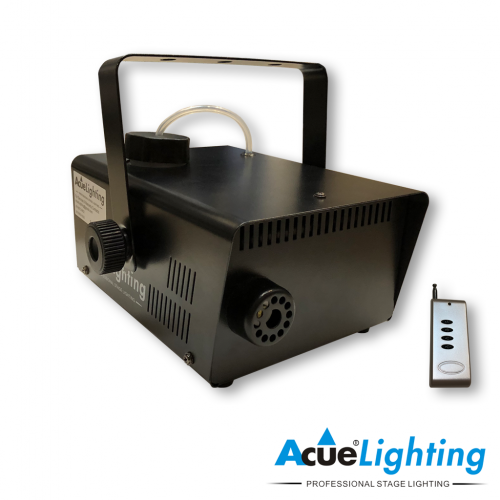 The Fog 1500 also has a LED heating indicator system that changes colors depending on whether the fogger is heating up, ready to use or, if the fog fluid is low. The Fog 1500 has 2 operational modes: manual with wireless remote & DMX. 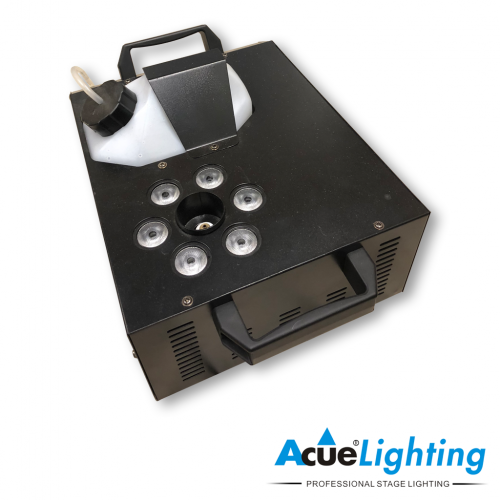 This machine uses water-based fog fluid only.